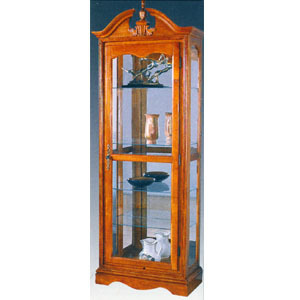 Curio Cabinet Available In Oak Or Cherry Finish. (View Larger Image) Featuring Mirror Back and Light. Features Piano Hinge Assembly. Size: 28 x 14 x 83 H. Store Pick Up Or Local Delivery Only.